“Willetts describes the incredible exploits of Edgar Laplante in wonderful detail using a fun, novelistic style." 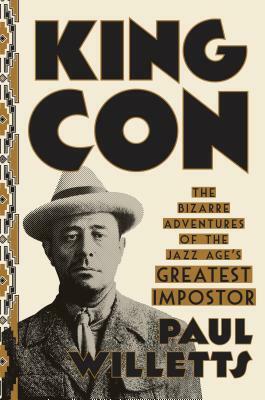 "Anyone who thinks celebrity culture is a new phenomenon should read King Con. Drawing on a vast range of sources, Willetts has pieced together a rich and bizarre Jazz Age story of the century's most shameless confidence trickster… The cons are astounding but the escapes are even more outrageous. Whether he's peddling postcards or hoodwinking royalty, Laplante remains a fascinating figure. A brilliant feat of research is turned into a racing read." "Willetts has a real gift for writing about compelling but repellant characters and making you care about what happens to them. King Con is about another of these fascinating monsters."